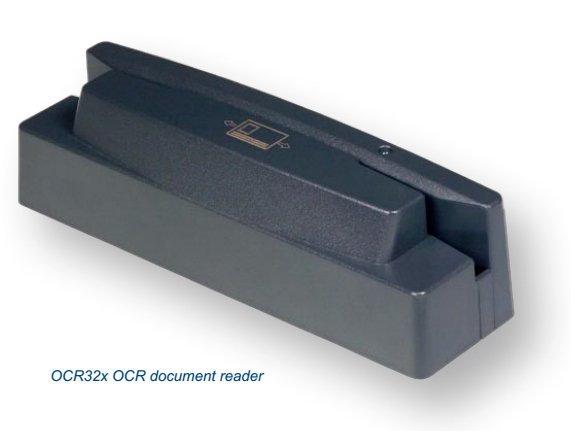 In airports the OCR32x is compatible with leading commonuse system software, and is intended to be used by airline staff at the check-in desk to accurately capture data for APIS applications. 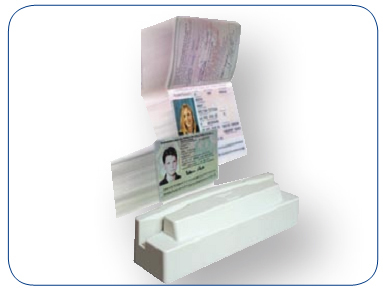 The OCR32x reads Machine Readable Travel Documents conforming to the international standard specified by ICAO in Document 9303, including Machine Readable Passports (MRP), visas (MRV), and OCRB encoded cards such as the US Resident Alien card and European national ID cards. For fraud prevention and reconciliation purposes, it can also capture OCR stock control numbers and ticket numbers printed on thermally printed ATB coupons and TAT documents as well as read the IATA 2of5 bar code ticket number. Host connection is via a standard RS232 or USB interface through a detachable cable. The OCR32x is a low power device and can usually be powered from a PC keyboard or USB port, removing the need for an external power supply. An auxiliary RS232 port allows connection of a decoded bar code scanner. There are four standard models in the OCR32x range offering a choice of two colours and two interface options. All models include LED / audible read indicator and the capability to readmachine readable passports (MRP), machine readable visas and other travel documents for example ID cards, together with cheques in banks and optical characters in industrial applications.